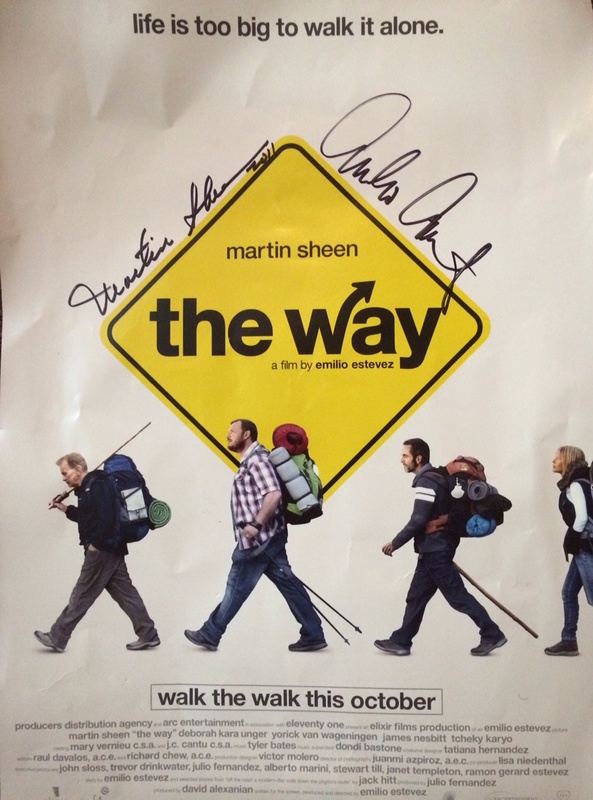 The signed movie poster Karina and I got when we saw The Way on opening weekend. It was the first time in my married life that I had been looking for a new church where I was not ordained in a Christian Denomination as a minister, and the search began at places similar to most of my spiritual history to that point but on this particular Sunday me and my family found ourselves at St. Paul’s on lower Queen Anne. After dropping our kids off downstairs and walking up the narrow stairwell to prepare for mass that was just about to start. The Rector of the church in robe and all stopped on the middle of the stairs and we made introduction. After sharing what church we had attended before visiting St. Paul’s her face softened and she said, “You are one of the refugees, welcome feel free to come here and rest.” In a theological manner I was aware the I was a refugee, 1 Peter 2:11, “As strangers in a strange world.” or as old timey Christianity puts it “I was not made for this world, I’m merely traveling through.” or as popular Christianity puts it “Not home yet” or “Long way home” and yet for me to be call a refugee was an experience that offered invitation. To maintain a psychological position of strength I was a fighter for righteousness or a unjustly persecuted, as a refugee none of that mattered. All that was need (and offered) was rest. As weeks turned into months and months now into years, we have found that. In my recovery I was inspired to rest from recreating myself theologically too (I’ll write more on some of what has changed later), I took a sabbath from recreating a framework for God that met my new circumstances. Rather I rested and struggled to rest all while experiencing the God of the Scriptures and to my surprise that experience shaped something in me that was not merely based on a logic framework, but was logical and in line with how I was experiencing the attempt at living a Biblical life. To push the analogy further a refugee is a foreigner in land that is not her own, yet she may or may not be homeless. She can have a tent, a flexible reliable living structure though not as concrete as a house with a foundation or a cathedral. This tent serves both as a home but also a reminder that there is a home she is moving to. Sabbath as a concept was one that integrating into my life as a goal oriented task driven extravert was difficult, though gratefully God overcomes personalities and circumstances and forces his loving goodness upon us. By November of 2010, I had lost my ordination within the Presbyterian Church of America and I officially went on sabbatical as a Ruling Elder of Grace Church Seattle. These were very difficult decisions as I had dreamed of being a minister since I felt called at fourteen years old and that was no longer a part of my life though I had worked so hard for it. Grace Church Seattle was the church experience that convinced me that a church could care for the same needs as the city it was in, I met my wife there, two of my children were baptized there, many friends from there are as close as family and there was a sense that the sabbatical would eventually lead me to step down and ultimately leave the church that I had at one time so loved. Roughly one year after leaving and living as refugee at St. Paul’s, Karin and I went on the weekend of October 21st, 2011 to see the movie The Way. After watching the article on CBS Sunday Morning, I was inspired hearing Martin Sheen describe his Catholic spirituality and the journey of exploring that with his son Emilio Estevez. As timing would have it, this was also during the time that Charlie Sheen was at the peak of his meltdown, therefore the entire family was in the cultural spotlight for reasons beyond the movie release. The movie chronicles a pilgrimage of Charlie Sheen’s character on the El camino de Santiago after the death of his son. 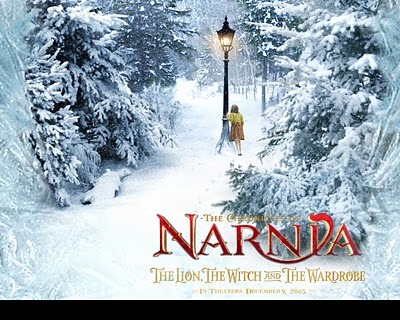 Most of the movie is grand shots of the landscape as the pilgrims journey the path together, the beauty of Spain is truly an additional character and sets a romantic vision of nature and spirituality. Even the first time I watched the movie I noticed a significant change in the style of filming once the pilgrims arrived at Santiago de Compostela, the grand cathedral that traditionally marks the end of the pilgrimage. On the cathedral steps the camera only focus on the faces of the pilgrims as they speak and the smallest details on the cathedral, the grand visions that were provided to us of nature are now denied and for me there was almost a claustrophobic sense to this film. Quickly, I judged that this is the directors way of criticizing the spiritual when compared to the natural and I anticipated a disappointing end to a movie I had enjoyed up until that point. To my surprise as the pilgrims sat within the mass, the almost inappropriate close ups of their faces began to retreat. The mass moved into the moment of lighting the incense and now the viewer is soaring from the ceiling of the cathedral as half a dozen men swing the incense hundreds of yards through the entire cathedral. A beautiful and powerful moment in the movie showing the spectacular nature of divine worship in line with all the drama provided for us in nature. The beauty of sacramental worship, all I had known that was truth had been taken from me and I was alone but the church offered a gateway into a dimension that rationally I could not explain. The invitation was that to meet the Creator that not only imagined dinosaurs, but created and destroyed them leaving moderns with a mysterious trail of breadcrumbs to follow as we attempt to explain the reason for their existence..and our existence. This invitation centered around meeting God, flesh and blood, at the meal prepared for me at the Eucharist. This second light post sustained me in my dark travels as a refugee.